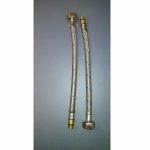 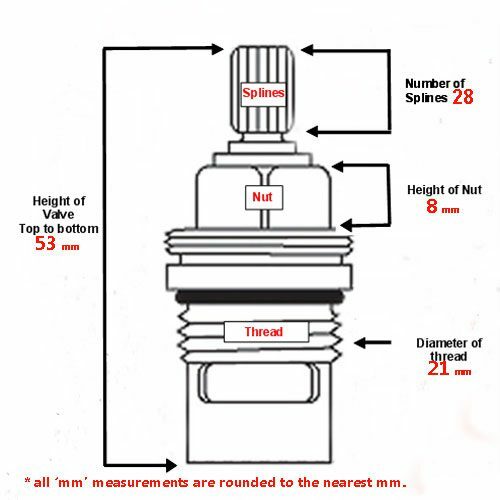 The Hot side takes a 1427R 28 spline Valve (Clockwise) and the Cold Side is operated by a Diverter Cartridge 3466R or 3079R for both Mains Cold and Filtered Cold. 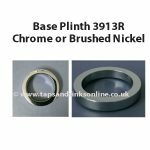 If you want to order a pair you need to order both. 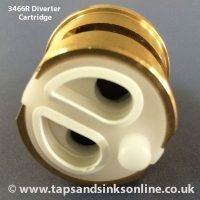 See below for more information before ordering the Abode Atlas Aquifier Cold Diverter Cartridge. 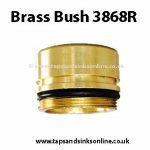 Brass Cold Diverter Valve: Splines 28, Diameter of thread 29mm, Height 52mm Brass to Brass. 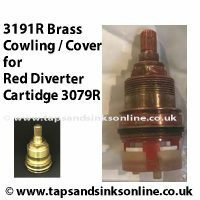 Red Cold Diverter Valve: Red Diverter: Splines 14 (covered by Brass Casing with 28 splines – this brass casing covering top of it is not included). 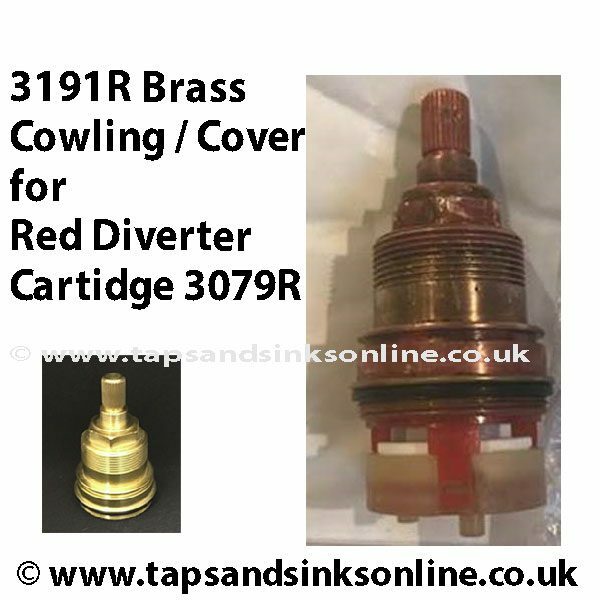 This Red Diverter Cartridge is covered with a Brass Cowling 3191R which sometimes needs to be replaced as well. 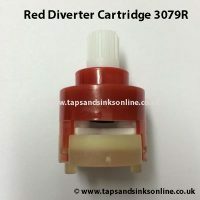 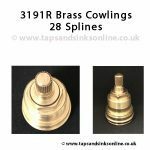 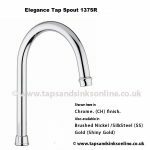 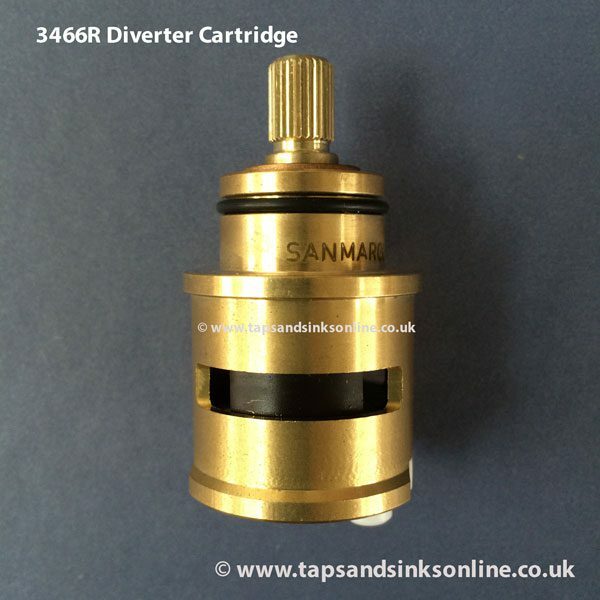 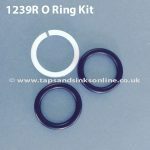 *** See below for link to the Brass Casing for the Red Diverter***Different Filter Taps (also known as Aquifiers) take different size Diverter Cartridges. See here for our complete selection of Cartridges. 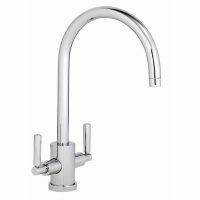 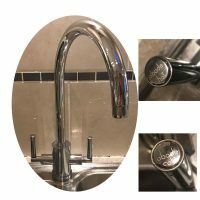 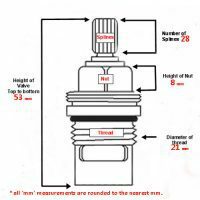 Click on useful guide here for some general Plumbing and Troubleshooting guides that can be used WHEN installing new Valve. 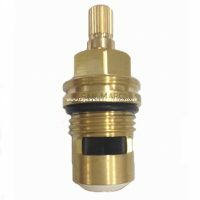 New Valve leaking.